On July 13, 2008 the second episode of the Chico Bandito series was completed and uploaded. I think what stood out the most about this episode initially, is that I'd been promoting the series as 'a quest to a escape from the laundry room' and immediately we open with Chico outside. I won't give anything away because I'd like you to see it for yourself, but this is also the episode that introduces 'the bird' character into the mix. From a critical point of view, the second episode was an attempt to up the ante both visually and story wise. It continues to sit in the back of my mind when I'm coming up with concepts for new episodes, for ways to try and keep the laundry room fresh and dynamic. Remember, with this series containing no actual dialogue I'm trying to tell a story with edits, movement, and sound effects. It's actually the fun of making the episodes, as each one poses a new creative challenge. While their aren't many ingredients in the recipe for Chico Bandito episodes at the moment, part 2 is a fun short and helps to develop Chico's dilemma a little bit more. 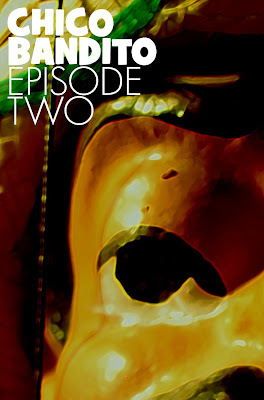 The story continues, enjoy Chico Bandito: Episode 2!